Wednesday Waste – Is Anyone Listening? Well this week wasn’t bad at all. This was all I had to toss out….. Some lemon and lime wedges. 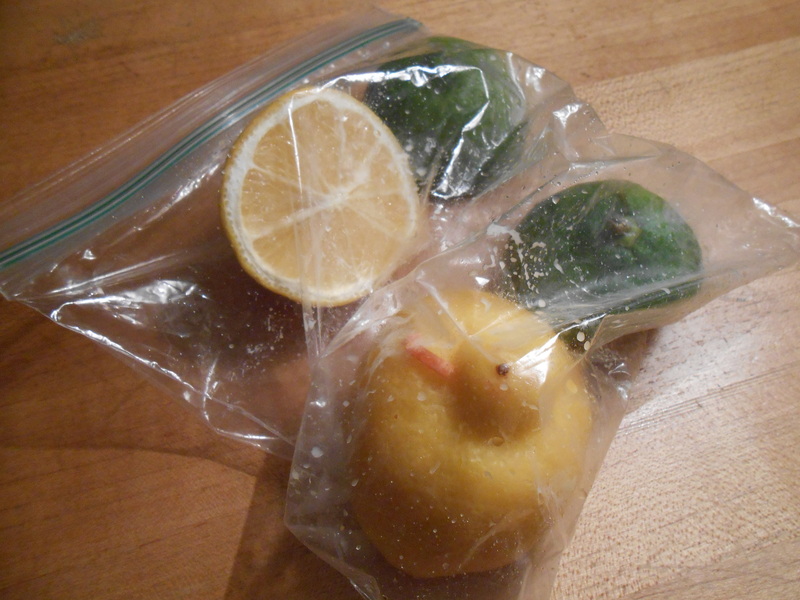 I did save the plastic bag and washed it for reuse. The ZMan and I set up our recycling system and our compost system and it’s really working out well. This system makes the amount of garbage we have now very minimal. So much so that we’ve cancelled the trash pick up service and now it’s just a matter of tossing a garbage bag into the bin a couple of times a week. We have to take our recycling to the same location as the garbage bin, so it just made sense to save the additional cost of trash pick up. I am a little disappointed that our county doesn’t recycle glass though. I mean hello… wine bottles! Do I need to say anymore? Am I really going to have to go back to drinking boxed wine? Well, yes… yes I am. I found this great red that I’ve been enjoying. Even the ZMan likes it. Not that I ever expect to convert him from beer, nor do I want to (share that much, lol), but it’s nice to enjoy a glass of wine together every now and then. The problem with a boxed wine is that you can’t “see” how much is exiting the box. You have to rely on the pour level and glass count. (yes I said glass count, and yes I “sometimes” have more than one glass) Oh, wow excuse me while I pull myself together, that was just too funny!!!! One glass!!! LOL!!! Really!!! Anyway, if you like a full flavored but lighter side red then you should try it out. 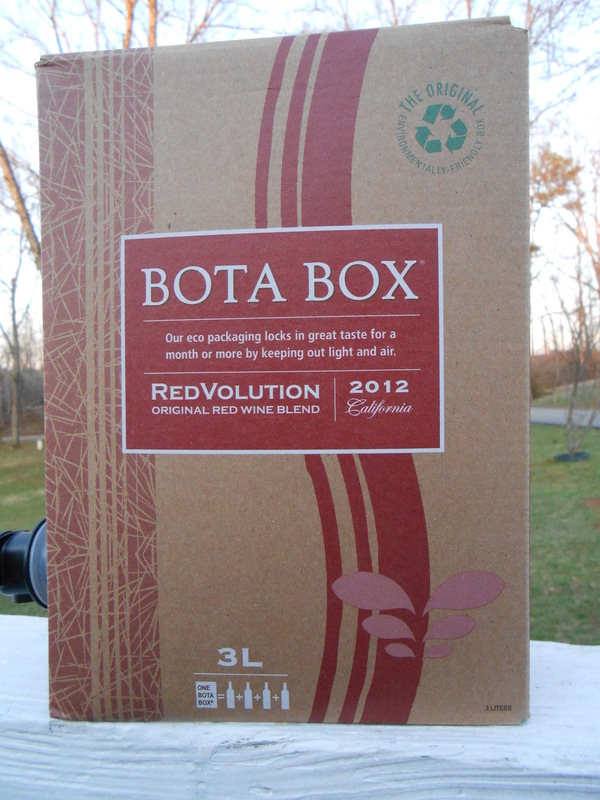 Actually, boxed wines have come a long way and there are some really good ones out there now. And, isn’t that just grand for me now that I can recycle the box and not worry about the glass bottles piling up on me. Did you have any waste this week? Have you checked?? Is anyone listening??? Posted on April 2, 2014 April 2, 2014 by LoriPosted in Wednesday WasteTagged Recylce, Repurpose, Reuse, Wednesday Waste. Still find it hard to comprehend paying for garbage pick up! Essentially we do as well, but it is just part of our city taxes. Recycling is a biggy, as is composting and we have pick up of both each week right along with our garbage pick up! I had only a head of broccoli and some spoiled deli meat this week! It can be crazy to think that we pay for the food, bring it home, throw it in the garbage, and then pay to have the garbage take it away. All such a waste of money! I think I threw out some bagged salad..the days and weeks are all running together and I’m throwing out stuff left and right. But your not alone in the food waste dept for sure.